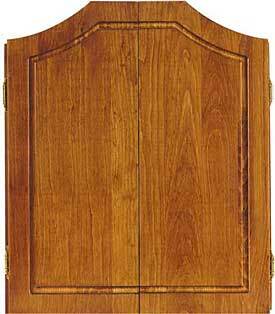 All of our extended door cabinets are made of specially selected pine with a furniture finish. 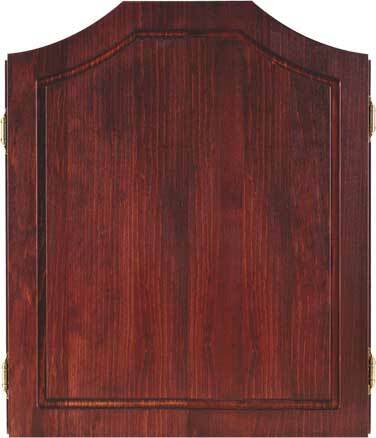 These cabinets are constructed with finger joints for added strength and have quality brass hardware. 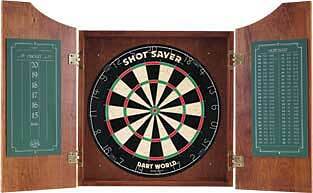 The inside includes a scoreboard to score both 301 and cricket, silk screened out chart, and dart holders. Dartboard and darts sold separately.